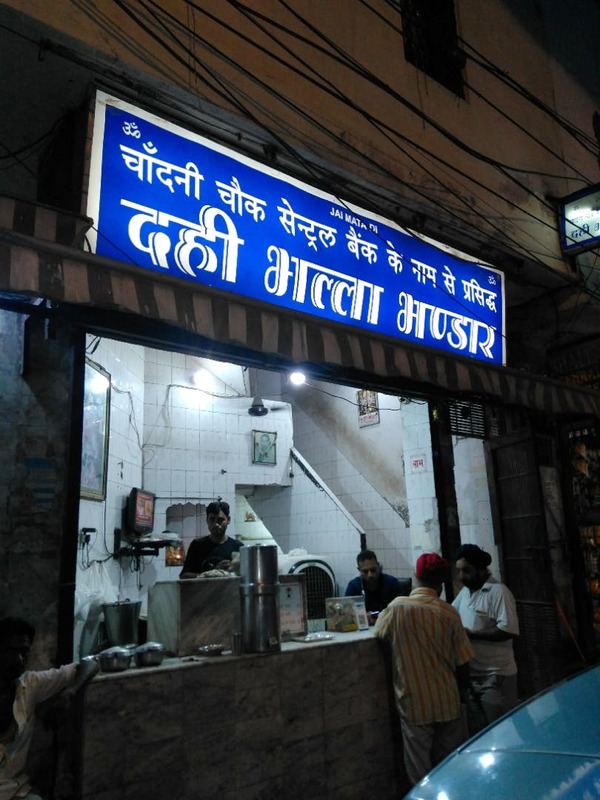 Dahi Bhalla Bhandar has been tucked away in Krishna Nagar for the last 35 years. It is a hidden gem with origins from the famous Nataraj of Chandni Chowk that goes back all the way to the times of Britishers. Dahi Bhalla Bhandar is currently being run by Dhruv Sharma. It was started by his grandfather at half the size it is now. Over the years, it has expanded to what it is today and soon will be getting a new look with a plan of renovations in the pipeline. While waiting eagerly for my plate of Dahi Bhalla, I was told by another customer that the taste will be better than the one you get in Chandni Chowk. Now that is something I couldn't believe until I took a bite. I literally felt the cool creamy yoghurt mixed with the softness of the Bhalla topped with the sweet and sour tamarind chutney to be different and perfect. It also had a taste of the special masala sprinkled on the top. They have a very simple menu of 4 items but each item is distinctive and so amazing that they don't need any more. I also learned that the owner also supplies Dhai Bhallas to banquets. Although you can take your car inside, the lane is really crammed with bottlenecks and there's no parking. But if you can go to Chandni Chowk which is similar, then why not here.